I’ve rarely found a face cream/moisturiser that has suited me. 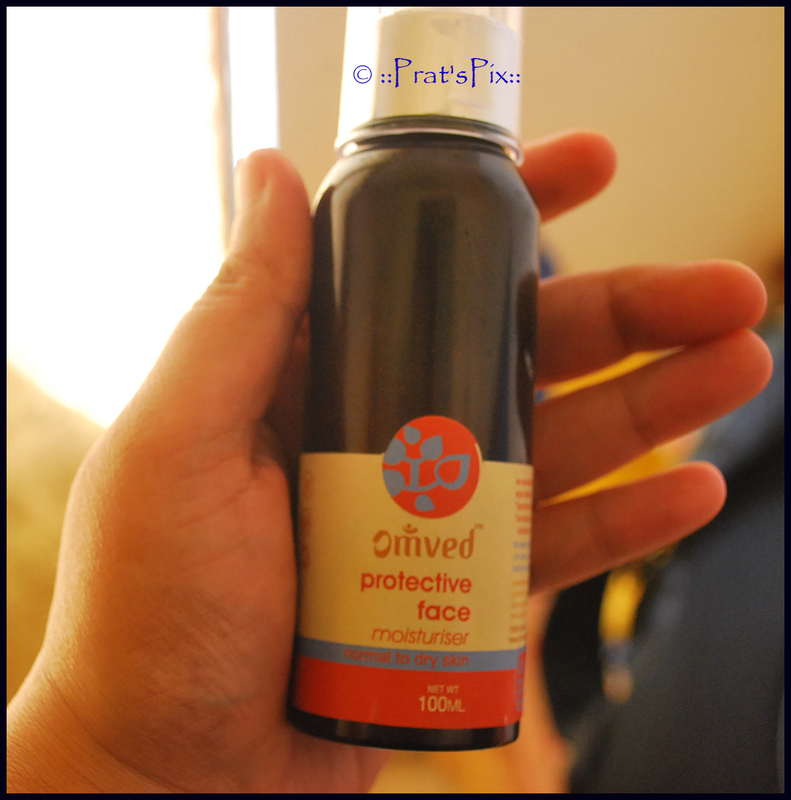 I discovered the Omved Protective Face Moisturiser during one of my umpteen visits at the Omved Store. I looked this up after I had used their Daily Body Moisturiser. 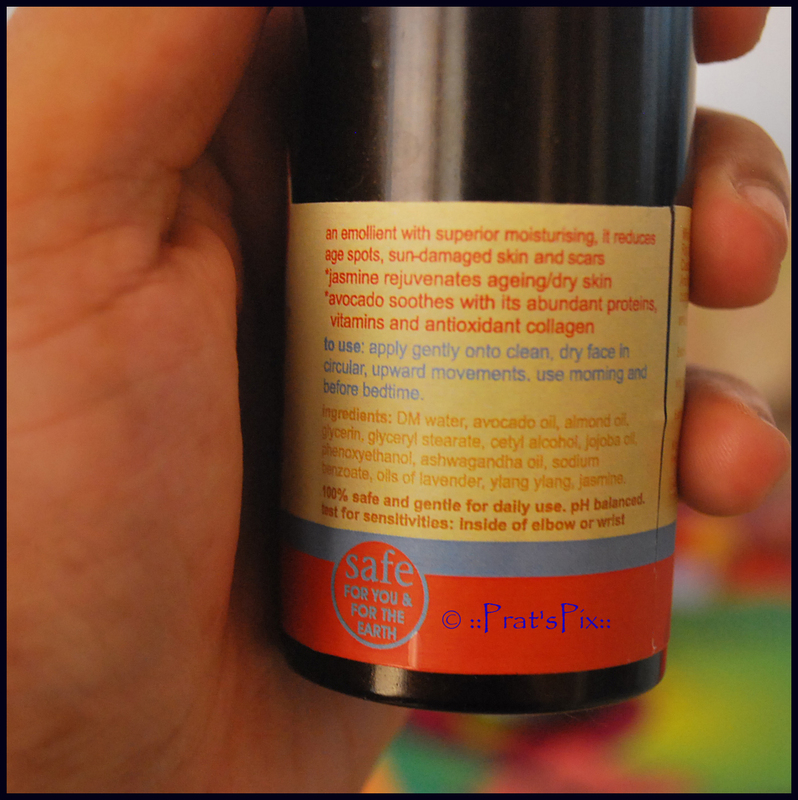 I loved the moisturiser and I decided to to give the face moisturiser a try. And I must say that I was not disappointed at all. The moisturiser does not leave my skin oily and it absorbs into the skin really well giving it a soft feeling. The fragrance is mild that fades away after a while and I don’t really have complaints of that. I have been using this for almost a month now and I have certainly noticed a visibly softer skin. I use this once a day without fail. This is packaged in a pump bottle which I find very easy to operate. I have a normal skin and I use just that quantity of cream that is dispersed by pumping it once. The only thing that I did not like about the packaging was the plastic cap. It was not of a good quality and the cap broke into a few pieces when I accidentally dropped the bottle on the floor. This 100 ml bottle is priced at Rs.590 and comes with a shelf life of two years. I bought this at the Omved store located in Inorbit Mall in Pune. This product is available on their online store also. Click here to buy it. Yes, I know this is priced on the higher side but I have no complaints about it. So yes, this is definitely my “use again” list. This product is recommended for people with normal to dry skin. I guess people with drier skin will need to use more than one pump of this moisturiser to get the desired results. An emollient with superior moisturising, it reduces age spots, sun-damaged skin & scars. 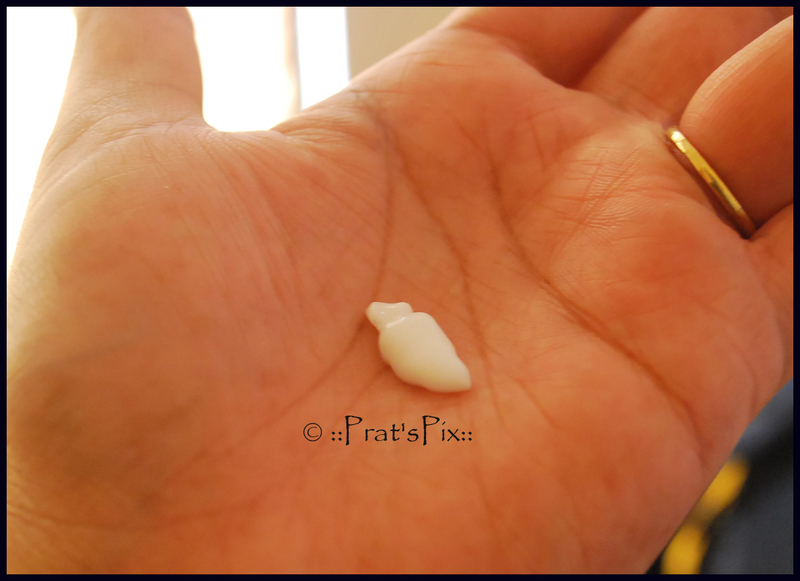 Jasmine rejuvenates aging/dry skin. Avocado soothes with its abundant proteins, vitamins and antioxidant collagen. Apply gently onto clean, dry face in circular, upward movements. use morning & before bedtime. DM water, avocado oil, almond oil, glycerin, glyceryl stearate, cetyl alcohol, jojoba oil, phenoxyethanol, ashwagandha oil, sodium benzoate, oils of lavender, ylang ylang, jasmine. 100% safe and gentle for daily use. pH balanced. Caution: For external use only. To be stored in a cool, dark place. Test for sensitivities: inside of elbow or wrist. would this be too much for oily, acne-prone, sensitive skin? during winters I mean? They have a lighter version. I think its called Ultra Light Cream or something. You want a moisturiser for the face right? To be used in winters? Will get back to you on this one too! Ultra Light Day and Night cream.. yes. but that is apt for summers, right? already using that. or would that only be enough for winters too.. ? I use the protective moisturiser all year round, just a pump extra for the winters, that is all.